On Tuesday, Dallas Cowboys head coach Jason Garrett offered an explanation for the clock management on the team’s lone touchdown drive, late in the 19-16 victory over the Redskins on Monday night. The Cowboys had the ball 1st-and-10 at the Redskins’ 15 after DeSean Jackson’s fumble, with 1:25 left on the clock. Their initial thought was that they’d bleed the clock down to nothing before scoring, and essentially stroll to the win, but then Darren McFadden broke off a nine-yard run and went out of bounds. That changed things. “Darren makes a nice run and gets knocked out of bounds. He makes a 9-yard run. Now in that situation the 9 yards is good, but keeping the clock running is paramount and we didn’t do that,” Garrett told the team's official website. "So it’s 2nd-and-1 and they still have their two timeouts, so the thinking becomes, we need to get the first down now. Garrett added that the Cowboys didn’t want to pull the reins and try to gain first down yardage but not a touchdown, lest they be stuffed and forced to settle for a field goal with a healthy chunk of time left on the clock. "Sometimes when you get in that mode, ‘OK, make the first but don’t score,’ what happens is you don’t come off the ball, you don’t make the first (down)," Garrett said. "So what we wanted to do given what we thought they would do to try to play defense, we wanted to come off and have our best football play. What happened was we scored a touchdown on it. 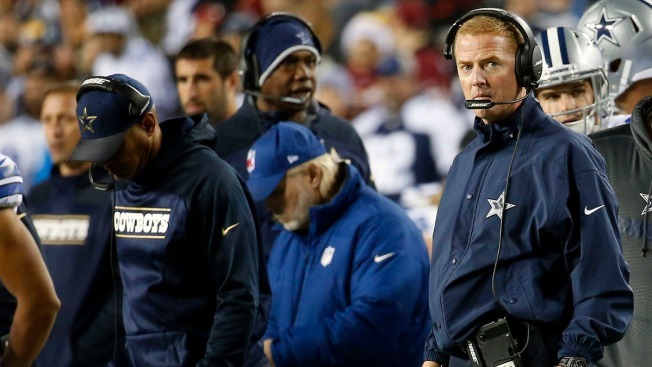 The good news for the Cowboys is just how fast the Redskins came the other way. 30 seconds to be exact, which left just enough time for the visitors to set up Dan Bailey’s game-winning, 54-yard field goal.